With an ever-increasing e-commerce market, it can be challenging for traditional, physical stores to compete with businesses who are solely based online. There are an array of added overheads to consider, not to mention the legal trading hours which will never stand up to the 24/7 online shopping culture. However, there are plenty of people who enjoy heading towards the retail shops, walking in, receiving great customer service, and being able to see and feel the products in real life. 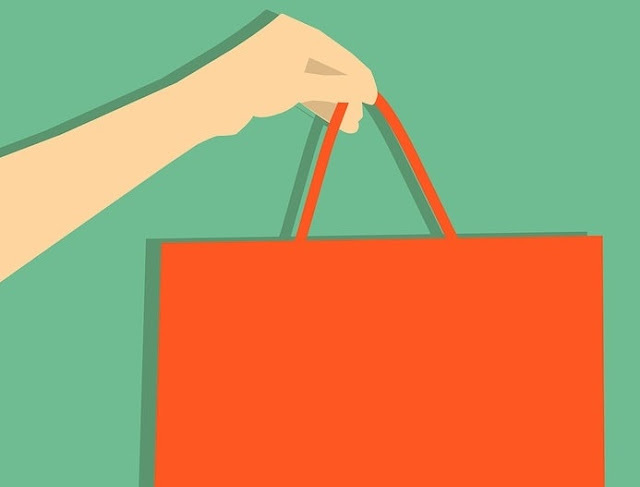 Customers are less likely to return items if they’ve tried them on in store, and if you have the bonus of a website; they can get a better sense of what they may buy at a later point online. The challenge lies in not only getting enough footfall into your store, but impressing them enough to stay, browse, and purchase products once they’ve arrived. There is little use in having impressive stock if the customer experience is disappointing and underwhelming; they will only walk out and head towards one of your competitors. Therefore, it’s worth taking some time to consider how you can improve the space in your store so that your visitors have a positive experience. Investing in regular improvements, upgrades, and changes regarding your shop’s interior will ensure that you’ll stick in your customer’s minds and they’ll be recommending you to fellow shoppers. The following are some ideas, inspiration, and advice for store owners who want to boost their business and focus their attention on the visual side of their shop, for retail success. Whether you sell clothing, accessories, or beauty products; your customers will always appreciate being able to see items clearly. If you have a window which lets in natural light, make the most of it; don’t over-clutter it with too many posters or advertising, and let the light flood your store so that people can see what they’re picking up. Stark and cold strip lights are a little old-fashioned and can cause headaches, making them an un-appealing aspect for many when they’re out shopping. Therefore, it’s worth investing in some lighting that with highlight your items and fit into the theme of your shop. You could consider installing a commercial grade LED string light in various parts of the store, for a modern twist on a traditional classic. Your lights should enhance the space, and ensure that customers feel welcome, warm, and are able to see the colors and shapes of your products clearly. Unless you’re a thrift store or selling unusual antiques; visitors are unlikely to enjoy feeling cramped and surrounded by your wares. Therefore, it’s important to create a clear and clean space which makes it simple for your potential customers to move around, browse, and pick up items. It’s worth researching how best to merchandise your stock; there are plenty of relevant articles and information online, so you can work out what will go best where. Create plenty of visual appeal towards the back of your store, at the furthest point away from the door; this will encourage potential buyers to travel further into your shop, and they’ll have to walk past all of the items that you want to sell in the meantime. Dark corners and heavily-stocked areas are unattractive, and customers will steer clear of them; this makes them a waste of valuable space, so make sure that each area is carefully curated without being overcrowded. If you sell an item in a range of sizes; display an amount that won’t look cluttered and inform your visitors that there is more stock in the back which you can bring out for them. Think of your stockroom as a place to store everything and pile items high; your shop floor is the display and should remain well-presented at all times. It’s often the little things in a space that make a huge difference, and they can determine the mood that your visitors will leave your store in. Therefore, think carefully about the music you have playing, perhaps invest in scented reed diffusers for a fragrant ambience, and ensure the store is a comfortable temperature. Soft seating, large mirrors, and homely touches will always encourage to browse for longer. Having an area set aside to sit and regroup is perfect for partners of those who are shopping, and those who may not be as interested in what you’re selling as who they’re with. Whatever you can do to encourage people to enter your store and stay a while will work towards you meeting your sales targets and keeping up with the competition, so it’s worth investing as soon as possible. I hope you enjoyed this article about how to improve your retail store success with superior merchandising and branding.